The so-called Palestinians have devised a new form of terrorism to wage against their highly achieving neighbors. Motivated by envy that springs from insecurity and bitterness, their youth are launching combustible kites and helium- filled balloons over the Gaza border that explode into an inferno in Israel. Today, a huge incendiary kite from Gaza landed on kibbutz power lines, causing loss of power for several hours. 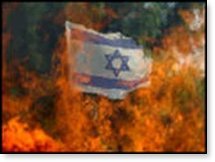 The raging fires reflect the Palestinians' own rage that fills their illiterate, unproductive, empty lives. 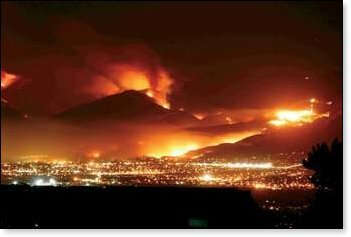 During this fire jihad, they have thus far destroyed more than 82,000 acres of forest and agricultural land, with its produce and wheat fields devastated, avocado groves scorched, the bee industry and wild life burned alive. The 7,000 acres of nature reserves, which also contains the 75-acre Karmiya Reserve, an animal and reptile habitat, are turned to cinders. The estimate of loss is in the billions of dollars. The Israelis are dealing with the loss of homes, their every possession, their livelihoods, while also suffering from respiratory illnesses from the fouled air and stench and Post Traumatic Stress Disorder from the constant barrage of rockets. Eighteen hundred acres of food are demolished. The desert and swampland that the Jewish pioneers of almost a century ago rescued and restored from Arab neglect are now in complete ruin. Islamic jihadis are raised in a loveless household, forced marriages where the man may have four young wives with severely limited rights, bearing and treating their numerous offspring as objects, and eagerly declaring their willingness to martyr their children for the cause. From early childhood, Palestinians are taught to hate the miniscule landmass they covet for Allah and learn to detest the citizens for the happiness and innovations enjoyed in Israel. As youths, they are intentionally deprived of every creative outlet (music, dance, art), forbidden from socializing and celebrating birthdays, and commanded to pray five times a day, so that participation in riots can provide them with a welcomed, albeit perilous, excitement beyond the harsh restrictions of the culture. This upbringing prepares them for the malignant influence of Mahmoud Abbas, who keeps them distraught, agitated and provoked by announcing the next Days of Rage, rallies to explode into violence, when their lives have little else to occupy them. These are the despoilers and these are their motives. There's a psychological reason for their use of kites. In her book, The Jihadi Dictionary, Nancy Hartevelt Kobrin explains, the "jihadis do not live in an empathic world or in reality, so they misuse just about everything. In their interior world, everyone is a mere object rattling around in their minds." They'll make bombs in the kitchen, a room for nurturing and bonding, stuff them in toys, designed for imaginative play, and weaponize small children, because the Koran says, "slaughter not of the animal but of the infidel." They misuse knives for cutting food as hard weapons in the Palestinian Knife Intifada, and playthings (dolls and kites) to deliver destruction and death. Other perversions include sexual distortions, their Female Genital Mutilation (FGM), the prevalent homosexuality with Bacha bazi boys, their confusion of good with bad, right with wrong. Their use of symbolism is a cognitive deficit, a result of their emotional deprivation as children. Muslims, as a whole, are known for creating little for mankind's benefit. Mohammed's followers were usually acquired at the end of the sword and their supposed inventions were purloined from the conquered non-Muslim world. Islamic arches were adapted from Roman arches, Arabic numerals from Hindu symbols (glyphs), and their cryptography from ancient Egypt. Their physicians were primarily captured Jews who practiced medicine and their astronomers and cartographers were traced to Jewish astronomers and cartographers. Their calligraphy, although ornamental, is exacting, with no room for imaginative originality. Their art is geometric and precise. A warring nation encourages conquest, not creativity. As Sir Winston Churchill astutely declared, "Individual Muslims may show splendid qualities, but the influence of the religion paralyzes the social development of those who follow it. No stronger retrograde force exists in the world." The destruction through the centuries was wrought by the Mohammedans, Al Qaeda, Al Shabaab, Arabs, Fatah, Hamas, Hezbollah, Iran, Islamic State (IS), Muslims, Muslim Brotherhood, Moors, Palestinians, Sunni, Shi'a, Wahhabi, all who follow the laws of the militant, proselytizing Islamic faith. The Arab dons the terrorist's hat when he prepares to murder but assumes the Palestinian hat when he seeks world sympathy. 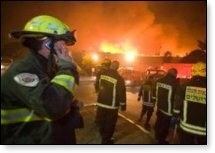 Why does the world continue to send foodstuffs and provisions to those who persist in destroying Israel's food source and provisions, and where will they send them when the Muslim migrants conduct the same destruction by fire in Sweden, Denmark, Germany, France, the Netherlands, England, the United States? The Islamic tide is rising worldwide. They have created nothing that benefits the world and, therefore, have no veneration or will to save it from destruction. Their motivation is misery and resentment; their goal, the destruction of what is not theirs. Those who choose martyrdom admit their unhappiness in this life and seek escape to 72 virgins in heaven. If their home environment is not changed, there can be no psychological changes. They will not plant and care for fruit trees or tend innocent animals; they will not mature into compassionate human beings. They will have no compunction about their criminality and destruction as long as they are consumed by impotent jealousy and vengeance. But their non-Muslim neighbors, Israel, will continue to plant new orchards on the ashes of the old. NOTE: On the evening of submitting this essay for publication, one of several headlines reads: Sweden is Burning: Migrant Gangs Unleash Coordinated Fire-Bomb Rampage Across Multiple Cities.